/EINPresswire.com/ -- NEW YORK, NY--(Marketwired - Sep 14, 2017) - Tauriga Sciences, Inc. (OTC PINK: TAUG) ("Tauriga" or the "Company"), a company engaged in building businesses in the life sciences space, today announced that it has completed the reformulation of its Cupuacu Butter lip balm product (Branded as: HERMAN). In addition, the company expects the first (initial) tranche of marketable product to be available by the end of September 2017. The Company has worked cooperatively with its licensor, Ice + Jam LLC ("Ice + Jam") as well as cosmetics industry R & D firm, Ariel Laboratories ("Ariel Labs") to develop this substantially improved product; in preparation for the anticipated retail launch -- Scheduled for mid-late Autumn 2017. Attached to this press release is an image of the final HERMAN label (incorporating the revised graphics), which illustrates the ultimate formulation (list of ingredients). The Company plans to update shareholders with respect to specific details, once it obtains this initial tranche of HERMAN inventory. Tauriga Sciences, Inc. (OTC PINK: TAUG ) is engaged in building life sciences company through the development, marketing, distribution and potential licensing of a broad array of products and technologies. 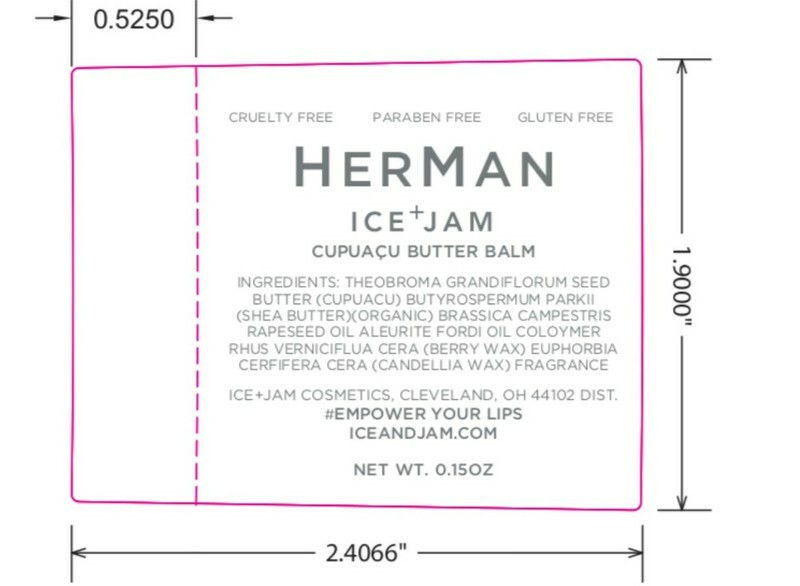 The Company is presently focused on its upcoming contemplated launch of a Cupuacu Butter based lip balm product branded under the name: Herman. The Company has previously disclosed that it plans to launch this product to the retail marketplace during mid-late Autumn of 2017. The Company believes that one of its most important strengths is its access to and relationships with potentially substantial distribution systems and networks. The Company intends to capitalize on distribution opportunities and will continually update shareholders on such developments. The Company is also prosecuting (as Plaintiff) its ongoing malpractice lawsuit against its predecessor audit firm, for which it's seeking monetary damages in excess of $4,500,000. The Federal District Court New Jersey has confirmed that this Trial shall commence at 10:00am EST on November 14, 2017 (Trenton, New Jersey).